I spent the day shopping for presents and came home with three little things for myself. Incidentally they were all smellies, and they smell so good that I want to eat them - literally. 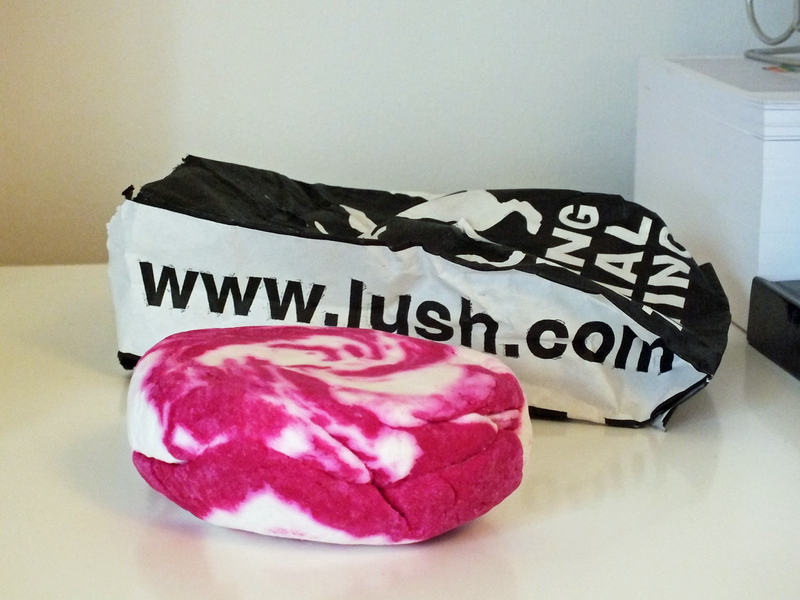 I purchased the Comforter bubble bar from Lush, I don't know why I haven't had this before because it smells DEVINE. The berry scent is so sweet and fruity! I can't stop sticking my nose inside it and I've kept it in my wardrobe so it hits my in the face every time I open it - yay! My bath was pink too, double yay! 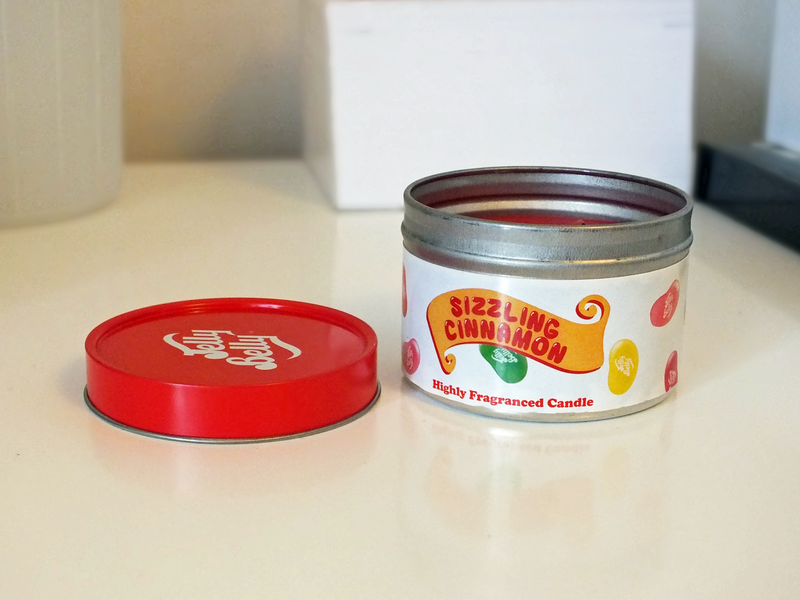 The next thing is my Jelly Belly candle, strangely, this time last year I got the Very Cherry one and came across them again in Debenhams, I love the smell of the Sizzing Cinnamon as it reminds me of Christmas, it is extremely strong though! They were in Debenhams for £5 and then I found them in Asda for £3 so it looks like I will be buying more of them - I think I prefer them over Yankee Candles! Last and not least, the most random thing - a hand soap. 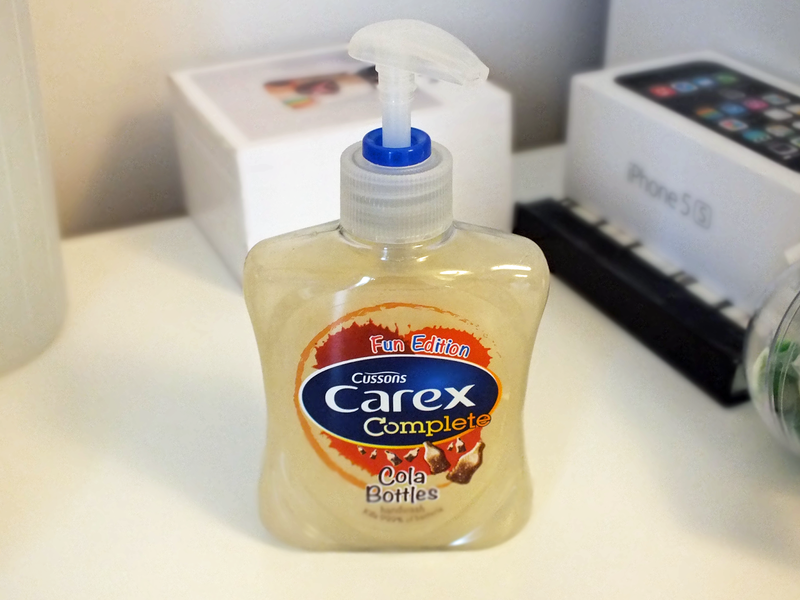 Carex has an 'fun edition' range that smell like Cola Bottles, Strawberry Laces, Bubblegum and Chocolate Orange - I could eat it! I also found hand-sanitizers in the same scents so I will be getting myself one of those too. I think it is mine now :-) you definately should, the scent is so strong it's amazing! Ooooohhhhh I love that candle!